Dealing with a car that just won't start up due to weather, collision, or electrical issues? With just one call, our towing specialists will be there to take the vehicle back to our shop for repair services. You'll appreciate our affordable towing services and our guarantee that your vehicle makes it back to our shop safely. For fast towing services, contact us at 845-858-2755. When it comes to towing, different car models and situations call for different approaches and type of trailers used. For instance, if your car has become completely disabled, the most appropriate towing trailer is the flatbed trailer where the disabled car rides atop the trailer. Flatbed towing is one of the safest ways to transport a car. At Tom's Automotive Repair, we offer professional flatbed towing services. 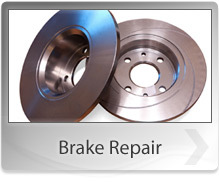 With the service, we can guarantee you that your car makes it back to our shop safely. Give us a call today at 845-858-2755.